Visual Studio Code>Other>SpinefeedNew to Visual Studio Code? Get it now. 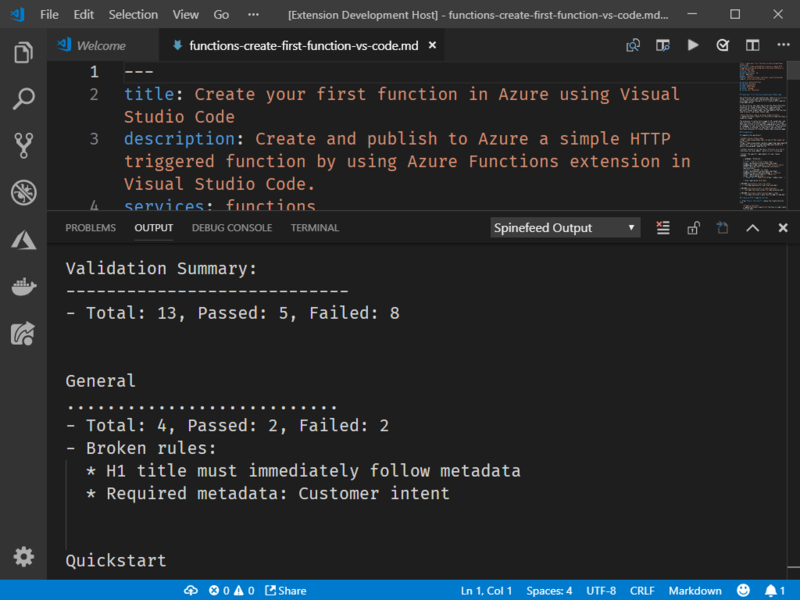 VS Code extension for Spinefeed. Once installed, press CMD + SHIFT + P and select Spinefeed: Get Content Model Feedback to run the extension. Spinefeed is also available via a web interface.